As along time wedding officiant in Southern California, I have officiated weddings of all kinds, including civil weddings and religious wedding, all over Los Angeles County. A few of those weddings were in Pasadena at the Pacific Asia Museum. If you’re looking for historic wedding reception locations then you might consider the Pacific Asia Museum which can accommodate a small wedding of 15 guests to 120 for a larger, but still intimate wedding. They have a beautiful garden, a courtyard, an auditorium and the Blue Room all available to make your wedding a beautiful event. 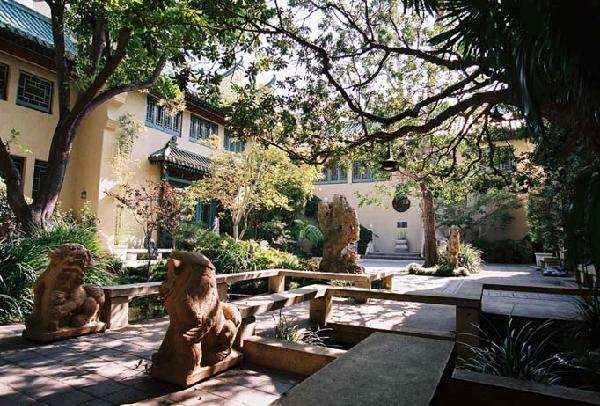 Pacific Asia Museum is housed in a Chinese Qing dynasty inspired mansion. The galleries surround a charming courtyard garden containing a koi pond, rock sculptures, graceful trees and plants that reflect the beauty of the changing seasons. The first cultural center for art, music, lectures, and films in Pasadena, the beautiful building is a California State Historic Landmark and is listed in the National Register of Historic Places. s a conservatory/auditorium and a meeting room with elegant Chinese furniture and décor. If you wish, after dining or meeting, you may enjoy a guided tour of the galleries and garden. Special demonstrations and lectures may be arranged for an additional fee. Pacific Asia Museum’s garden inspired by the classic gardens of China where architecture is in harmony with nature. It contains many of the traditional plants and decorative elements that support this unity. While the layout, pond, and plants have changed over the years, the courtyard remains a focal point, providing a transition between public and private space. 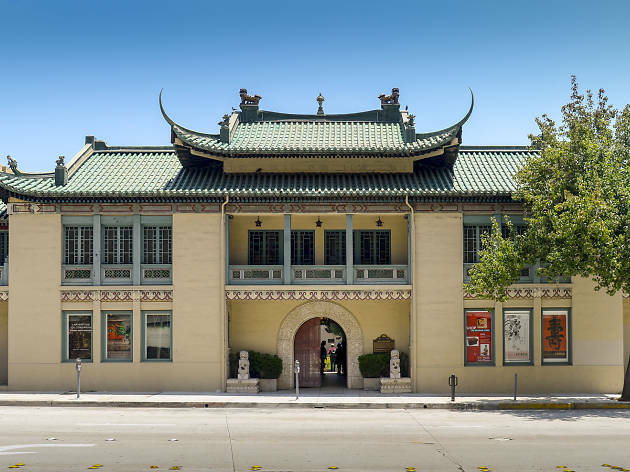 Among the countless wedding venues throughout Los Angeles and Orange Counties, Pasadena has some of the nicest options available, including the Pacific Asia Museum. If you are thinking of having your wedding ceremony or reception at Pacific Asia Museum or anywhere else then please consider this wedding professional, the Officiant Guy, as your wedding officiant.